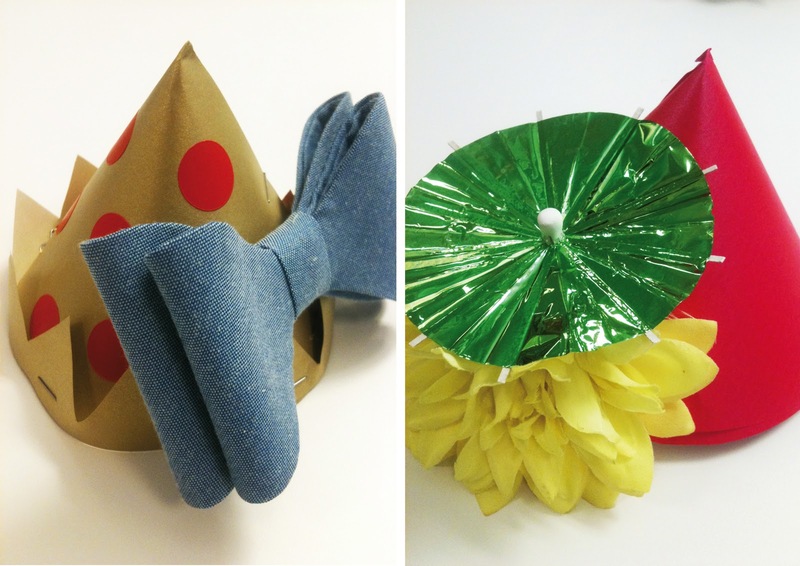 Having a party tonight? Here a fantastic simple idea of a friend. It's very easy to make these cute party hats. 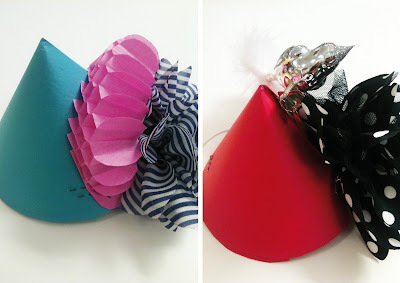 Cut some paper in a round circle, fold them to a hat. 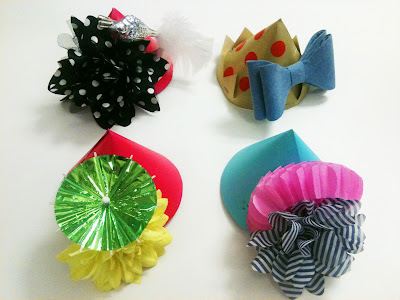 And customize the hats with some fabric, stickers, masking tape, or bows. There you are, have a wonderful saturday evening!